Goeking, S. A, Izlar, D. K., and T. C. Edwards, Jr. A landscape-level assessment of whitebark pine regeneration in the Rocky Mountains, USA. In revision, Forest Science. Laub, B.G., G.P. Thiede, W.W. MacFarlane, and P. Budy. 2018. Evaluating the conservation potential of tributaries for native fish in the Upper Colorado River Basin. Fisheries, Feature Article 43:194-206. DOI: 10.1002/fsh.10054. USGS IP: 081178. Klobucar, S.L., J.W. Gaeta, and P. Budy. 2018. A changing menu in a changing climate: using experimental and long-term data to predict invertebrate prey biomass and availability in arctic lakes. Freshwater Biology 2018:1-13. DOI: 10.1111/fwb.13162. USGS FSP: IP-087907. Dornelas, M and P. Budy (#25) and 182 others. 2018. BioTIME: a database of biodiversity time series for the Anthropocene. Global Ecology and Biogeography. Global 2018; 00:1–26. https://doi.org/10.1111/geb.12729. USGS FSP: under USGS co-author Rybicki. Klobucar, S.L., T.W. Rodgers, and P. Budy. 2017. At the forefront: evidence of the applicability of using environmental DNA to quantify the abundance of fish populations in natural lentic waters with additional sampling considerations. Strohm, D. P. Budy, and T.A. Crowl. 2017. Matching watershed and otolith chemistry to establish natal origin of an endangered desert lake sucker. Transactions of the American Fisheries Society. TAFS 146:732-743. USGS IP-069787. Winters, L.K., P. Budy, and G.P. Thiede. 2017. Earning their stripes: the potential of tiger trout and other salmonids as biological controls of forage fishes in a western reservoir. North American Journal of Fisheries Management 34:1033–1046 Accepted 8 November, 2016. UJFM-2016-0062. USGS IP-074773. Budy, P., T. Bowerman, R. Al-Chokhachy, M.M. Conner, and H. Schaller. 2017. Quantifying long-term population trends of threatened bull trout: challenges, lessons learned, and opportunities. Accepted with minor revisions 17 November, 2016. Canadian Journal of Fisheries and Aquatic Sciences. USGS IP-066765. Klobucar, S. and P. Budy. 2016. Consequences of seasonal variation in reservoir water level for predatory fishes: linking visual foraging and prey densities. Canadian Journal of Fisheries and Aquatic Sciences 73: 53-6464. USGS FSP: IP-058204. Klobucar, S.L., W.C. Saunders, and P. Budy. 2016. A Lota lota consumption: trophic dynamics and niche space influence of invasive Burbot in a valuable sport fishery. Transactions of the American Fisheries Society. Submitted 3 March, 2016, Accepted with minor revision 25 May, 2016. DOI: 10.1080/00028487.2016.1227372. USGS FSP: IP-074691. Stoner, D.C., J.O. Sexton, H.H. Bernales, J.R. Nagol, and T.C. Edwards, Jr. 2016. Productivity of a mountain ungulate tracks phenological variability over a latitudinal gradient. PLoS One 11(2): e0148780. Ripplinger, J., J. Franklin, and T.C. Edwards, Jr. 2015. Legacies of managed disturbance leave semi-arid plant communities with reduced resilience and altered composition. Journal of Vegetation Science 26:923-933. Dibble, K.L., C.B. Yackulic, T.A. Kennedy, P. Budy. 2015. Flow management and fish density regulate salmonid recruitment and adult size in tailwaters across western North America. Ecological Applications. Accepted 9 March, 2015. Early Online. MS#14-2211R1. Walsworth, T.E., and P. Budy. 2015. Integrating non-native species in niche models to prioritize native fish restoration activity locations along a desert river corridor. Transactions of the American Fisheries Society 144:667–681. USGS IP-034122. Budy, P., M. M. Conner, N.L. Salant, and W. Macfarlane. 2015. An Occupancy-based Assessment of Regional Vulnerability. Conservation Biology. DOI: 10.1111/cobi.12513 USGS FSP: IP-049189. Thuiller, W, T. Münkemüller, K. H. Schiffers1, S. Dullinger, V.E. Eckhart, T. C. Edwards, Jr., D Gravel, G. Kunstler, C. Merrow, K.M. O’Leary, N. E. Zimmermann, D. Zurell, and F. Schurr. 2015. Does probability of occurrence relate to population dynamics? Ecography 37:1155-1166. Merow, C., M J. Smith, W. Thuiller, N. E. Zimmermann, T. C. Edwards, Jr., A. Guisan, S. Normand, R. Wüest, and J. Elith. 2015. What do we gain from simplicity versus complexity in species distribution models? Ecography 37:1267-1281. Lobón-Cerviá, J. , P. Budy, and E. Mortensen. 2012. Patterns of natural mortality in stream-living Brown Trout (Salmo trutta L.). Freshwater Biology 57:575-588. McHugh, P., A. McIntosh, S. Howard, and P. Budy. 2012. Niche flexibility and trout-galaxiid co-occurrence in a hydrologically-diverse riverine landscape. Biological Invasions doi:10.1007/s10530-012-0237-6. Salant, N.L., J. C. Schmidt, P. Budy, P. R. Wilcock. 2012. Unintended consequences of restoration: Loss of riffles and gravel substrates following weir installation. Journal of Environmental Management 109:154-163. Webber, P. A., P. Thompson, and P. Budy. 2012. Status and structure of two populations of bluehead in the Weber River, UT. Southwest Naturalist 57:267-276. Budy, P., S. Wood[Seidel], and B. Roper. 2012. A study of the spawning ecology and early life history of Bonneville cutthroat trout. North American Journal of Fisheries Management 32:436-449. Lobón‐Cerviá, J. , G. González, and P. Budy. 2011. Factors driving spatial and temporal variation in production and production ⁄ biomass ratio of stream-resident brown trout (Salmo trutta) in Cantabrian streams. Freshwater Biology 56:2272-2287. Budy, P., M.E. Baker, and S.K. Dahle. 2011. Predicting Fish Growth Potential and Identifying Potential Water Quality Issues: A Spatially Explicit Bioenergetics Approach. Environmental Management 48(4) 691-709. ISSN 0364-152X; DOI 10.1007/s00267-011-9717-1. McIntosh, A., P.A. McHugh, and P. Budy. 2011. Brown Trout, Chapter 24, In: Handbook of Global Freshwater Invasive Species (a summary of the current state of knowledge of 30 of the most notable global invasive freshwater species). Invited BOOK Chapter. (http://www.earthscan.co.uk/). Bolliger, J., T. C. Edwards, Jr., S. Eggenberg, S. Ismail, I. Seidl, and F. Kienast. 2011. Dry grassland meadows of high conservation priority: balancing forest regeneration probabilities and maintenance costs. Conservation Biology 25:567-576. Vinson, M., and P. Budy. 2011. Sources of variability and comparability between salmonids stomach contents and isotopic analyses: study design lessons and recommendations. Canadian Journal of Fisheries and Aquatic Sciences 68:137-151. Hansen, E., and P. Budy. 2011. The potential of passive stream restoration to improve ecosystem health and minimize the impact of fish disease: a short-term assessment. Journal of the North American Benthological Society 30:573-588. Larsen, R. T., J. A. Bissonette, J. T. Flinders, and A. C. Robinson. 2011. Does small-perimeter fencing inhibit antelope and mule deer use of free water? Journal of Wildlife Management 75(6):1417-1425. Meier, E. S., T C. Edwards Jr, F. Kienast, M. Dobbertin, and N. E. Zimmermann. 2011. Co-occurrence patterns of trees along macro-climatic gradients and their potential influence on the present and future distribution of Fagus sylvatica L. Journal of Biogeography 38:371-382. Wilson, T. L., F. P. Howe, and T. C. Edwards, Jr. 2011. Effects of sagebrush treatments on multi-scale resource selection by pygmy rabbits. Journal of Wildlife Management 75:393-398. Albert, C. H., N. G. Yoccoz, T. C. Edwards, Jr., C. H. Graham, N. E. Zimmermann, and W. Thuiller. 2010. Sampling in ecology and evolution – bridging the gap between theory and practice. Ecography 33:1028-1037. Zimmermann, N.E., T.C. Edwards, Jr., C.H. Graham, P.B. Pearman and J-C Svenning. 2010. New trends in species distribution modelling. Ecography 33:985-989. Wilson,T. L., J. B. Odei, M. B. Hooten, and T. C. Edwards, Jr. 2010. Hierarchical spatial models for predicting pygmy rabbit distribution and abundance. Journal of Applied Ecology 47:401-409. Al-Chokhachy, R., B.B. Roper, T. Bowerman, and P. Budy. 2010. A review of bull trout habitat associations and exploratory analyses of patterns across the Interior Columbia River Basin. North American Journal of Fisheries Management 30:464-480. Miller, S.W., P. Budy, and J.C. Schmidt. 2010. Quantifying macroinvertebrate responses to in-stream habitat restoration: applications of meta-analysis to river restoration. Restoration Ecology 18:8-19. Zimmerman, N. E., N. G. Yoccoz, T. C. Edwards, Jr., E. S. Meier, W. Thuiller, A. Guisan, D. R. Schmatz, and P. B. Pearman. 2009. Do climatic extremes explain tree species spatial patterns at a regional scale? Proceedings of tha National Academy of Sciences 106:19723-19728. Gunson, K. E., A. P. Clevenger, A. T. Ford, J. A. Bissonette, and A. Hardy. 2009. A comparison of data sets varying in spatial accuracy used to predict the occurrence of wildlife-vehicle collisions. Environmental Management 44(2):268-277. Al-Chokhachy, R., M. Peacock, L.G. Heki, and G. Thiede. 2009. Evaluating the reintroduction potential of Lahontan cutthroat trout in Fallen Leaf Lake, California. North American Journal of Fisheries Management 29:1296–1313. Wood, J. and P. Budy. 2009. An investigation of the early life-history and potential influences on invasion success of exotic of brown trout (Salmo trutta). Transactions of the American Fisheries Society 138:756-767. Al-Chokhachy, R., P. Budy, and M. Conner. 2009. Detecting declines in the abundance of a bull trout (Salvelinus confluentus) population: understanding the accuracy, precision, and costs of our efforts. Canadian Journal of Fisheries and Aquatic Sciences 66: 649–658. Budy, P., G.P. Thiede, C. Luecke, and R.W. Schneidervin. 2009. Warmwater and coldwater fish in two-story standing waters. Pages 159 – 169 in S. Bonar, W.A Hubert, and D.W. Willis, editors. Standard methods for sampling North American freshwater fishes. American Fisheries Society, Bethesda, Maryland. Al-Chokhachy, R. and P. Budy. 2008. Demographic characteristics, population structure, and vital rates of a fluvial population of bull trout in Oregon. Transactions of the American Fisheries Society 137:262-277. Budy, P., G. P. Thiede, P. McHugh, E. S. Hansen, and J. Wood. 2008. Exploring the relative influence of biotic interactions and environmental conditions on the abundance and distribution of exotic brown trout (Salmo trutta) in a high mountain stream. Ecology of Freshwater Fish 17:554-556. Homel, K., and P. Budy. 2008. Temporal and spatial variability in the migration patterns of juvenile and subadult bull trout (Salvelinus confluentus) in Northeast Oregon. Transactions of the American Fisheries Society 137:869-880. Johnson, J. A., B. A. Andres, and J. A. Bissonette. 2008. Birds of the Major Mainland Rivers of Southeastern Alaska. Gen. Tech. Rep. PNW-GTR-739. Portland, OR: U. S. Department of Agriculture, Forest Service, Pacific Northwest Research Station. 87 p.
Vatland, S., P. Budy, and G. P. Thiede. 2008. A bioenergetics approach to modeling striped bass and threadfin shad predator-prey dynamics in Lake Powell, Utah-Arizona. Special Section: Bioenergetics Modeling. Transactions of the American Fisheries Society 137:262-277. Bissonette, J. A., and C. Kassar. 2008 Location of deer-vehicle collisions are unrelated to traffic volume or posted speed limits. Human Wildlife Conflicts 2(1):122-130. Bissonette, J., C. Kassar, and L. J. Cook. 2008. Assessment of costs associated with deer-vehicle collisions: Human death and injury, vehicle damage, and deer loss. Human Wildlife Conflicts 2(1):17-27. Homel, K., P. Budy, M. E. Pfrender, T. A. Whitesel, and K. Mock. 2008. Evaluating genetic structure among resident and migratory forms of bull trout (Salvelinus confluentus) in Northeast Oregon. Ecology of Freshwater Fish, OnlineEarly Articles: doi:1-. 1111/j. 160-0633. 2008. 00299. x.
McHugh, P., P. Budy, G. P. Thiede, and E. VanDyke. 2008. Trophic relationships of nonnative brown trout, Salmo trutta, and native Bonneville cutthroat trout, Oncorhynchus clarkii utah, in a northern Utah, U. S. A. river. Environmental Biology of Fishes 81(1):63-75. Wood, J. R. & Budy, P. 2007. The role of environmental factors in determining the spawning density and distribution of brown trout along an elevational gradient, pp. 251-257. In: Carline, and C. LoSapio, eds., 2007. Sustaining wild trout in a changing world; proceedings of Wild Trout IX symposium; 2007 October 9-12; West Yellowstone, Montana. 308 pages. Bissonette, J. A., and P. C. Cramer. 2007. Abstract: North American Decision Guidelines for mitigating roads for wildlife. Page 422 IN Proceedings of the 2007 International Conference on Ecology and Transportation (ICOET), C. L. Irwin, D. Nelson, and K. P. McDermott. Raleigh NC. : Center for Transportation and the Environment, North Carolina State University, 2007. Little Rock, AR. 21 May 2007. Cramer, P. C., and J. A. Bissonette. 2007. Integrating Wildlife Crossings into Transportation Plans in Projects in North America. Pages 328-334 IN Proceedings of the 2007 International Conference on Ecology and Transportation (ICOET), C. L. Irwin, D. Nelson, and K. P. McDermott. Raleigh NC. : Center for Transportation and the Environment, North Carolina State University, 2007. Grilo, C., C. Silva, C. Baltazar, L. Gomes, J. A. Bissonette & M. Santos-Reis. 2007. Patterns of carnivore road casualties in southern Portugal. . Page 556-561 IN Proceedings of the 2007 International Conference on Ecology and Transportation (ICOET), C. L. Irwin, D. Nelson, and K. P. McDermott. Raleigh NC. : Center for Transportation and the Environment, North Carolina State University, 2007. Little Rock, AR. Rosa, S., and J. A. Bissonette. 2007. Roads and desert small mammal communities: Positive interaction? Pages 562-566 IN Proceedings of the 2007 International Conference on Ecology and Transportation (ICOET), C. L. Irwin, D. Nelson, and K. P. McDermott. Raleigh NC. : Center for Transportation and the Environment, North Carolina State University, 2007. Little Rock, AR. Cutler, D. R., Edwards, T. C., Jr., Beard, K. H., Cutler, A., Hess, K. T., Gibson, J., and J. J. Lawler. Random Forests for classification in ecology. Ecology 88:2783-2792. Zarnetske, P. L., T. C. Edwards, Jr., and G. G. Moisen. Modeling forest bird species likelihood of occurrence in utah with FIA and LANDFIRE map prodcuts and ecologically-based pseudo-absence points. Pages 291-306 in Proceedings of the Fifth Annual Forest Inventory and Analysis Symposium, Portland, Maine, USA, R. E. McRoberts, G. A. Reams, and P. C. Van Deusen, Editors. General Technical Report WO-77, USDA Forest Service, Washington, D. C., USA. Vatland, S., and P. Budy. 2007. Predicting the invasion success of an introduced omnivore in a large, heterogeneous reservoir. Canadian Journal of Fisheries and Aquatic Sciences 64:1329-1345. Edwards, T. C., Jr., D. R. Cutler, N. E. Zimmermann, L. Geiser, and G. G. Moisen. 2006. Effects of underlying sample survey designs on the utility of classification tree models in ecology. Ecological Modelling 199:132-141. Moisen G. G., E. A. Freeman, J. A. Blackard, T. S. Frescino, N. E. Zimmermann, and T. C. Edwards, Jr. Moisen G. G., E. A. Freeman, J. A. Blackard, T. S. Frescino, N. E. Zimmermann, and T. C. Edwards, Jr. 2006. Predicting tree species presence and basal area in Utah: a comparison of stochastic gradient boosting, generalized additive models, and tree-based methods. Ecological Modelling 199:176-187. Zarnetske, P. L., T. C. Edwards, Jr., and G. G. Moisen. 2007. Habitat classification modelling with incomplete data: pushing the habitat envelope. Ecological Applications 17:1714-1726. Zimmermann, N. E., Moisen, G. G., Edwards, T. C., Jr., Frescino, T. S., and J. A. Blackard. 2007. Testing the partial contributions of remotely-sensed and topo-climatic predictors for tree species modelling in Utah. Journal of Applied Ecology 44:1057-1067. Zimmermann, N. E., R. A. Washington-Allen, R. D. Ramsey, M. E. Schaepman, L. Mathys, B. K�tz, M. Kneubuehler, and T. C. Edwards, Jr. 2007. Modern remote sensing for environmental monitoring of landscape states and trajectories. Pages 65-91 in F. Kienast, O. Wildi, and S. Ghosh, editors. A changing world: challenges for landscape research. Springer, Dordrecht, The Netherlands. Al-Chokhachy, R., and P. Budy. 2007. Summer microhabitat use of fluvial bull trout in Eastern Oregon streams. North American Journal of Fisheries Management 27:1068-1081. Zarnetske, P. L., T. C. Edwards, Jr., and G. G. Moisen. 2007. Modeling forest bird species’ likelihood of occurrence in utah with forest inventory and analysis and landfire map products and ecologically based pseudo-absence points. 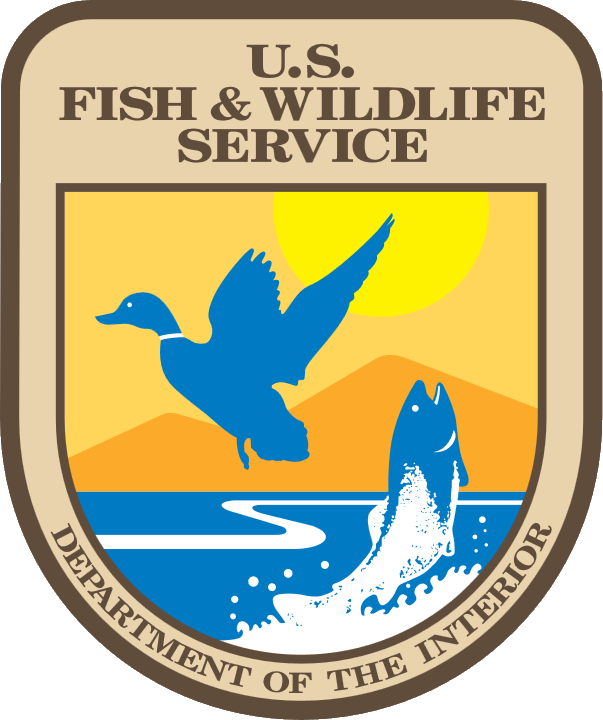 USDA Forest Service General Technical Report WO-77:291-305. Budy, P., and H. Schaller. 2007. Evaluating tributary restoration potential for Pacific Salmon recovery. Ecological Applications 17:1068-4086. Budy, P., G.P. Thiede, and P. McHugh. 2007. Quantification of the vital rates, abundance, and status of a critical, endemic population of Bonneville cutthroat trout. North American Journal of Fisheries Management 27:593-604. McHugh, P., and P. Budy. 2006. Experimental effects of nonnative brown trout on the individual- and population-level performance of native cutthroat trout. Transactions of the American Fisheries Society 135:1441-1455. Lawler, J. J., and T. C. Edwards, Jr. 2006. A variance-decomposition approach to investigating multi-scale habitat associations. Condor 108:47-58. Edwards, T. C., Jr., G. G. Moisen, T. S. Frescino, and R. J. Schultz. 2005. The application of FIA-based data to wildlife habitat modelling: a comparative study. Pages 7-11 in Proceedings of the Fourth Annual Forest Inventory and Analysis Symposium, New Orleans, Louisiana, USA, R. E. McRoberts, G. A. Reams, P. C. Van Deusen, W. H. McWilliams, and C. J. Cieszewski, Editor. General Technical Report NC-252, North Central Research Station, USDAForest Service, St. Paul, Minnesota, USA. Schultz, R. J., T. C. Edwards, Jr., G. G. Moisen, and T. S. Frescino. 2005. Development and validation of spatially explicit habitat models for cavity-nesting birds in Fishlake National Forest, Utah. Pages 241-249 in Proceedings of the Fourth Annual Forest Inventory and Analysis Symposium, New Orlean, Louisiana, USA, R. E. McRoberts, G. A. Reams, P. C. Van Deusen, W. H. McWilliams, and C. J. Cieszewski, Editor. General Technical Report NC-252, North Central Research Station, USDAForest Service, St. Paul, Minnesota, USA. Bissonette, J. A. 2005. Thinking differently at larger ecological scales: developing the strategy. Proc. 12th Ann. Meeting Australasian Wildl. Manage. Soc., Darwin, Australia. Busch, G., R. J. Lilieholm, R. E. Toth, and T. C. Edwards, Jr. 2005. Alternative future growth scenarios for Utah's Wasatch Front: assessing the impacts of development on the loss of prime agricultural lands. Transactions on Ecology & the Environment 80:247-256. McHugh, P., and P. Budy. 2005. An experimental evaluation of competitive and thermal effects on brown trout (Salmo trutta) and cutthroat trout (Oncorhynchus clarki utah) performance along an altitudinal gradient. Canadian Journal of Fisheries and Aquatic Sciences 62:2784-2795. Al-Chokhachy, R., Budy, P., and H. Schaller. 2005. A comparison of redd counts and mark/resight methods for estimating abundance and monitoring bull trout population trends. North American Journal of Fisheries Management 25:1505-1512. McClure, M. F., J. A. Bissonette, and M. R. Conover. Migratory strategies, fawn recruitment, and winter habitat use by urban and rural mule deer (Odocoileus hemionus). 2005. European Journal of Wildlife Research. In Press. Published Online First 11 May 2005. Haddix, T., and P. Budy. 2005. Factors that limit growth and abundance of rainbow trout (Oncorhynchus mykiss) across ecologically distinct areas of Flaming Gorge Reservoir, Utah-Wyoming. North American Journal of Fisheries Management 25:1082-1094. McHugh, P., and P. Budy. 2005. A comparison of visual measurement-based techniques for quantifying cobble embeddedness and fine sediment levels in salmonid-bearing streams. North American Journal of Fisheries Management 25:1208-1214. Edwards, T. C., Jr., G. G. Moisen, T. S. Frescino, and J. J. Lawler. 2004. Use of Forest Inventory and Analysis information in wildlife habitat modelling: a process for linking multiple scales. Pages 188-194 in McRoberts, R. E., G. A. Reams, P. C. Van Duesen, and J. W. Moser, Editors. Proceedings of the Third Annual Forest Inventory and Analysis Symposium, General Technical Report NC-230, North Central Research Station, USDA Forest Service, St. Paul, Minnesota, USA. Meyers, P., W. D. Ostrand, M. Conover, and J. A. Bissonette. 2005. Effect of perch sites on mourning dove nest distribution. Western North American Naturalist 65(1):64-69. Budy, P., T. Haddix, and R. Schneidervin. 2005. Zooplankton size selection relative to gill raker spacing in rainbow trout (Oncorhynchus mykiss). Transactions of the American Fisheries Society 134:1228-1235. McHugh, P., P. Budy, and H. Schaller. 2004. A model-based assessment of the potential response of Snake River spring/summer chinook salmon to habitat improvements. Accepted to Transactions of the American Fisheries Society. 133:622-638. De la Hoz Franco, E. A., and P. Budy. Accepted. Effects of biotic and abiotic factors on the distribution of trout and salmon along a longitudinal stream gradient. Environmental Biology of Fishes 72:379-391. Edwards, T. C., Jr. 2004. A monumental leap forward in species-occurrence modelling. Book review of: Scott, J. M., P. J. Heglund, M. L. Morrison, J. B. Haufler, M. G. Raphael, W. A. Wall, and F. B. Samson, editors. 2002. Predicting species occurrence: issues of accuracy and scale. Island Press, Covello, California, USA. Conservation Biology 18:855-857. Bjurlin, C., and J. A. Bissonette. 2004. Survival during early life stages of the Desert Tortoise (Gopherus agassizii) in the South-Central Mojave Desert. Journal of Herpetology 38(4):527-535. De la Hoz Franco, E. A., and P. Budy. 2004. Linking Environmental Heterogeneity to the Distribution and Prevalence of Myxobolus cerebralis: A Comparison Across Sites in a Northern, Utah Transactions of the American Fisheries Society 133:1165-1178. Edwards, T. C., Jr., Cutler, R., L. Geiser, J. Alegria, and D. McKenzie. 2004. Assessing rarity and seral stage association of species with low detectability: lichens in western Oregon and Washington forests. Ecological Applications 14:414-424. Switalski, A., J. A. Bissonette, T. H, Deluca, C. H. Luce, and M. A. Madej. 2004. Benefits and impacts from road removal. Frontiers in Ecology and the Environment 2(1):21-28. McHugh, P., and P. Budy. 2004. Patterns of spawning habitat selection and site suitabilityfor two populations of Snake River spring chinook salmon. Transactions of the American Fisheries Society, 133: 89-97. Hunter, L. M., M. de J. Gonzalez, R. E. Toth, T. C. Edwards, Jr., and R. J, Lilieholm. 2003. Population and development in the California Mojave Desert: natural habitat implications of alternative futures. Population Research and Policy Review 22:373-397. Switalski, T. A., J. A. Bissonette, T. H. DeLuca, C. H. Luce, and M. A. Madej. 2003. Wildland road removal: research needs. Pages 642-646 In 2003 Proceedings of the International Conference on Ecology and Transportation, edited by C. Leroy Irwin, Paul Garrett, and K. P. McDermott. Raleigh, NC: Center for Transportation and the Environment, North Carolina State University, 2003. Bissonette, J. A. 2003. Linking landscape patterns to biological reality. Pages 15-34 in J. A. Bissonette and I. Storch (eds) ) Landscape Theory and resource management: Linking theory with practice. Island Press, Covelo, California. Bassett, S. D., and T. C. Edwards, Jr. 2003. Effect of different sampling schemes on the spatial placement of conservation reserves in Utah, USA. Biological Conservation 113:141-151. Edwards, T. C., Jr., G. G. Moisen, T. S. Frescino, and R. J. Schultz. 2004. The application of FIA-based data to wildlife habitat modelling: a comparative study. Proceedings of the 2002 FIA Science Symposium, New Orlean, Louisiana, USA. Hellgren, E. C., and J. A. Bissonette. 2003. Collared peccary. Chapter 41, Pages 867-876 in G. A. Feldhamer and B. Thompson, eds., Wild mammals of North America: biology, management, and economics. Second edition. The Johns Hopkins University Press, Baltimore, MD, USA. Bissonette, J. A. 2002. Scaling roads and wildlife: the Cinderella principle. Zeitschrift fuer Jagdwissenschaft 48(2002):208-214 (supplement). Bissonette, J. A., and I. Storch (eds). 2003. Landscape theory and resource management: Linking theory with practice. Island Press, Covelo, CA 463pp. Forman, R. T. T., D. Sperling, J. A. Bissonette, A. P. Clevenger, C. D. Cutshall, V. H. Dale, L. Fahrig, R. France, C. R. Goldman, K. Heanue, J. A. Jones, F. J. Swanson, T. Turrentine, & T. C. Winter. 2003. Road Ecology; Science and Solutions. Island Press, Covelo, CA. Cutler, R., T. C. Edwards, Jr., J. Alegria, and D. McKenzie. 2002. A sample design framework for Survey and Manage species under the Northwest Forest Plan. Proceedings of the Section on Statistics and Environment, 2001 Joint Statistical Meeting, American Statistical Association, Alexandria, Virginia, USA. Guisan, A., T. C. Edwards, Jr., and T. Hastie, Guest Editors. 2002. Advances in GLM/GAM modelling: from species' distribution to environmental management. Ecological Modelling (Special Issue) 157:89-341. Guisan, A., T. C. Edwards, Jr., and T. Hastie. 2002. Generalized regression modeling in ecological research: setting the scene. Ecological Modelling 157:89-100. Lawler, J. J., and T. C. Edwards, Jr. 2002. Composition of cavity-nesting bird communities in montane aspen woodland fragments: the roles of landscape context and forest structure. Condor 104:890-896. Bissonette, J. A. 2002. Linking theory, data, and practice in conservation: implications for fragmentation studies. Revista De Biologia 20(1-4): 7-16. Edwards, T. C., Jr., G. G. Moisen, T. S. Frescino, and J. J. Lawler. 2002. Linking multiple ecological scales for wildlife conservation modelling: the key to a successful transition from landscape theory to practice. In press, Pages 153-172 in J. A. Bissonette and I. Storch, editors. Landscape ecology and resource management: making the linkages. Island Press, Covelo, Californai, USA. Edwards, T. C., Jr., G. G. Moisen, T. S. Frescino, and J. J. Lawler. 2002. Use of Forest Inventory and Analysis information in wildlife habitat modelling: a process for linking multiple scales. Proceedings of the 2001 FIA Science Symposium, Traverse City, Michigan, USA. Lawler, J. J., and T. C. Edwards, Jr. 2002. Landscape patterns as predictors of nesting habitat: a test using four species of cavity-nesting birds. Landscape Ecology 17:233-245. Budy, P., G.P. Thiede, N. Bouwes, C.E. Petrosky, and H. Schaller. 2002. Evidence linking delayed mortality of Snake River salmon to their earlier hydrosystem experience. North American Journal of Fisheries Management 22:35-51. Petrosky, C. E., H. A. Schaller, and P. Budy. 2001. Evaluation of survival trends in the freshwater spawning and rearing life stage for Snake River spring/summer chinook. Canadian Journal of Fisheries and Aquatic Sciences 58:1196-1207. Frescino, T. S., T. C. Edwards, Jr., and G. G. Moisen. 2001. Modelling spatially explicit forest structural variables using generalized additive models. Journal of Vegetation Science 12:15-26. Zakrajsek, E. J., and J. A. Bissonette. 2001. Nocturnal bird-avoidance modeling with mobil-marine radar. Bird Strike 2001:185-194. Bissonette, J. A. 2001. American marten habitat choice: scaled multiple hypotheses provide some answers. Proc. Third Biennial Conf. on the Greater Yellowstone Ecosystem, 24-27 Sept. 1995: 53-56. Wurtsbaugh, W. A., H. P. Gross, P. Budy, and C. Luecke. 2001. Effects of epilimnetic versus metalimnetic fertilization on the phytoplankton and periphyton of a mountain lake with a deep chlorophyll maxima. Canadian Journal of Fisheries and Aquatic Sciences 58:2156-2166. Bissonette, J. A., C. S. Loftin, D. M. Leslie, Jr., L. A. Nordstrom, and W. J. Fleming. 2000. The cooperative research unit program and wildlife education: historic development, future challenges. Wildlife Society Bulletin 28:534-541. Moisen, G. G., and T. C. Edwards, Jr. 1999. Use of generalized linear models and digital data in a forest inventory of northern Utah. Journal of Agricultural, Biological and Environmetal Statistics 4:164-182. Moisen, G. G., D. R. Cutler, and T. C. Edwards, Jr. 1999. Genralized linearmixed models for analysizing error in a satellite-based vegation map of Utah. Pages 37-44 in H. T. Mowrer and R. G. Congalton, Editors. Quantifying spatial unceratinty in natural resorces. Theory and applications for GIS and remote sensing, Ann Arbor Press, Chelsea, Michigan, USA. Cartwright, M. A., D. A. Beauchamp, and M. D. Bryant. 1998. Quantifying predation by cutthroat trout on sockeye salmon fry using a bioenergetics approach. Canadian Journal of Fisheries and Aquatic Sciences. 55:1285-1295. Chigbu, P., T. H. Sibley, and D. A. Beauchamp. 1998. Abundance and distribution of (Neomysis mercedis) and a major predator, longfin smelt (Spirinchus thaleichthys) in Lake Washington. Hydrobiologia 386:167-182. Pitt, W., D. A. Beauchamp, and M. A. Conover. 1998. Development and application of a bioenergetics model for estimating losses from predation by great blue herons at fish hatcheries. North American Journal of Fisheries Management. 18:52-65. Budy, P., C. Luecke, and W. A. Wurtsbaugh. 1998. Adding nutrients to enhance growth and production of endangered sockeye salmon: Trophic transfer in an oligotrophic lake. Transactions of the American Fisheries Society 127:19-34. Bissonette, J. A. 1997. Wildlife and Landscape Ecology: Effects of Pattern and Scale. Springer-Verlag, New York. 410pp. Beauchamp, D. A., C. Luecke, W. A. Wurtsbaugh, H. G. Gross, P. E. Budy, S. Spaulding, R. Dillenger, and C. P. Gubala. 1997. Hydroacoustic assessment of abundance and diel distribution of sockeye salmon and kokanee in the Sawtooth Valley Lakes, Idaho. North American Journal of Fisheries Management 17:253-267. Thiede, G.P. 1997. Impact of lake trout predation on prey populations in Lake Tahoe: a bioenergetics assessment. Master’s thesis, Utah State University, Logan, Utah. Gross, H. P., W. A. Wurtsbaugh, C. Luecke, and P. Budy. 1997. Fertilization of an oligotrophic lake with a deep chlorophyll maximum: predicting the effect on primary productivity. Canadian Journal of Fisheries and Aquatic Sciences 54:1177-1189. Stahl, T.S., G.P. Thiede, R.A. Stein, M.F. Austin, and E.M. Lewis. 1996. Factors affecting survival of age-0 saugeye, Stizostedion vitreum X S. canadense stocked into Ohio Reservoirs. North American Journal of Fisheries Management 16:378-387. Beauchamp, D. A. 1995. Riverine predation on sockeye salmon fry migrating to Lake Washington. North American Journal of Fisheries Management 15:358-365. Beauchamp, D. A., M. G. LaRiviere, and G. L. Thomas. 1995. Evaluation of competition and predation as limits to the production of juvenile sockeye salmon in Lake Ozette. North American Journal of Fisheries Management. 15:121-135. Budy, P., C. Luecke, W. Wurtsbaugh, and H. Gross. 1995. Limnology of Sawtooth Valley Lakes with respect to potential growth of juvenile Snake River sockeye salmon. Northwest Science 69:133-150. Luecke, C., W. Wurtsbaugh, P. Budy, and G. Steinhart. 1995. Simulated growth and production of endangered Snake River sockeye salmon: assessing management strategies for nursery lakes. Fisheries 26:18-25. Beauchamp, D. A. 1994. Spatial and temporal dynamics of piscivory on planktivorous fishes: implications for food web stability and the transparency of Lake Washington. Lake and Reservoir Management. 10:21-24. Beauchamp, D. A., E. R. Byron, and W. A. Wurtsbaugh. 1994. Summer habitat use of littoral zone fishes in Lake Tahoe and the effects of shoreline structures. North American Journal of Fisheries Management. 14:271-280. Beauchamp, D. A., P. E. Budy, B. C. Allen, and J. M. Godfrey. 1994. The timing, distribution, and abundance of kokanees spawning in a Lake Tahoe tributary. Great Basin Naturalist. 54:130-141. Budy, P., C. Luecke, W. Wurtsbaugh, and H. Gross. 1994. Effects of nutrient enhancement on juvenile sockeye salmon growth. Lake and Reservoir Management 9:140-145. Beauchamp, D. A., R. C. Richards, B. C. Allen, W. A. Wurtsbaugh, and C. R. Goldman. 1992. Lake trout spawning in Lake Tahoe: egg incubation in deep water macrophyte beds. North American Journal of Fisheries Management. 12:442 449. Beauchamp, D. A., S. A. Vecht, and G. L. Thomas. 1992. Seasonal, diel, and size related food habits of cutthroat trout in Lake Washington. Northwest Science. 66:149 159. Beauchamp, D. A. 1990. Diel and seasonal food habits of rainbow trout stocked as juveniles in Lake Washington. Transactions of the American Fisheries Society. 119:475 482. Swartzman, G., and D. Beauchamp. 1990. Simulation of the effect of rainbow trout introduction in Lake Washington. Transactions of the American Fisheries Society. 119:122 134. Beauchamp, D. A. 1990. Movements, habitat use, and spawning strategies of Arctic grayling in a subalpine lake tributary. Northwest Science. 64:195 207. Beauchamp, D. A., D. J. Stewart, and G. L. Thomas. 1989. Corroboration of a bioenergetics model for sockeye salmon. Transactions of the American Fisheries Society. 118:597 607.